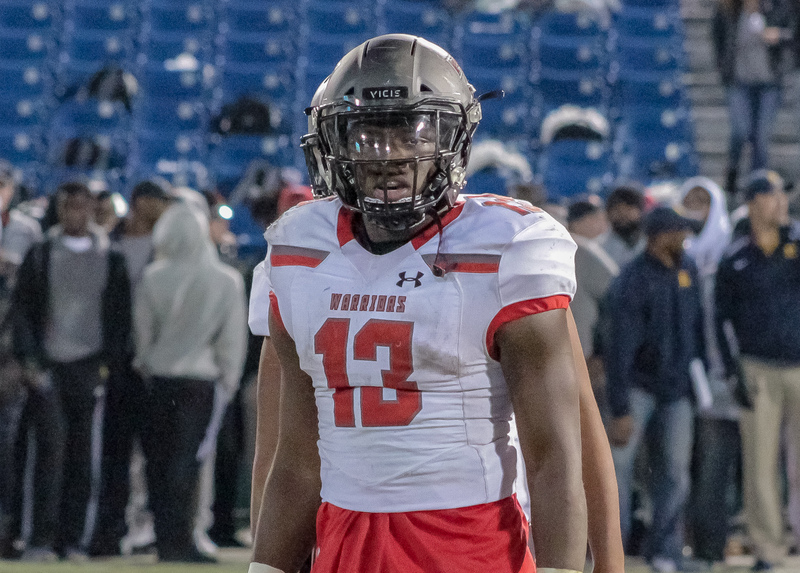 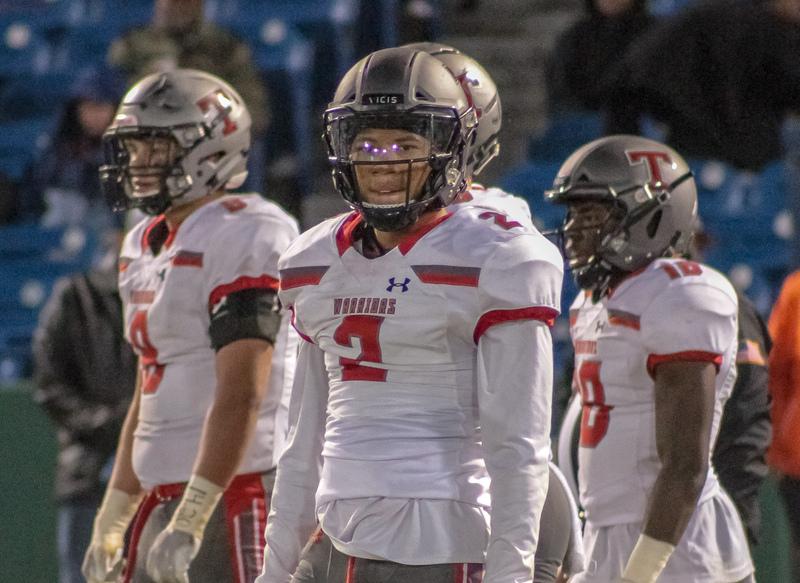 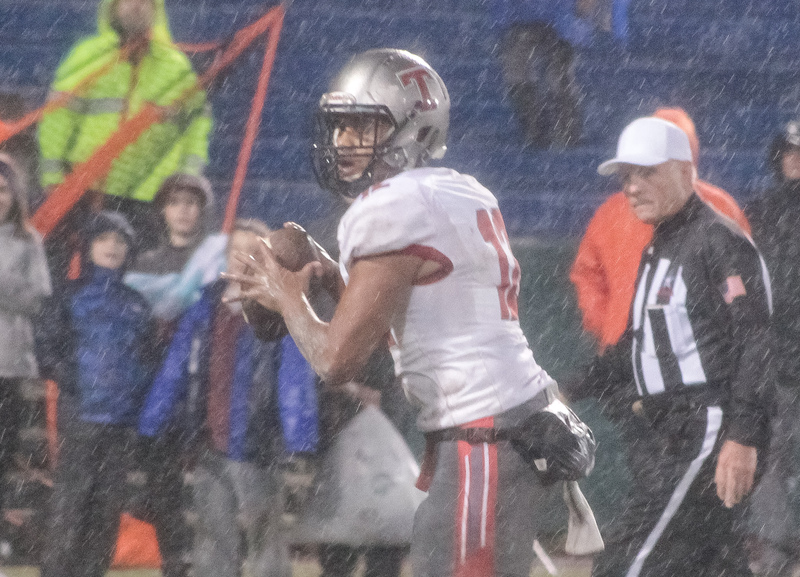 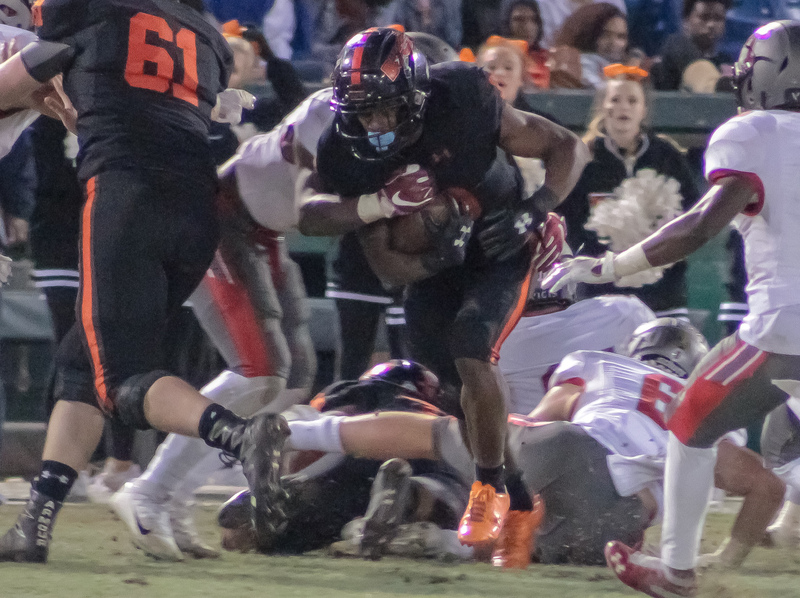 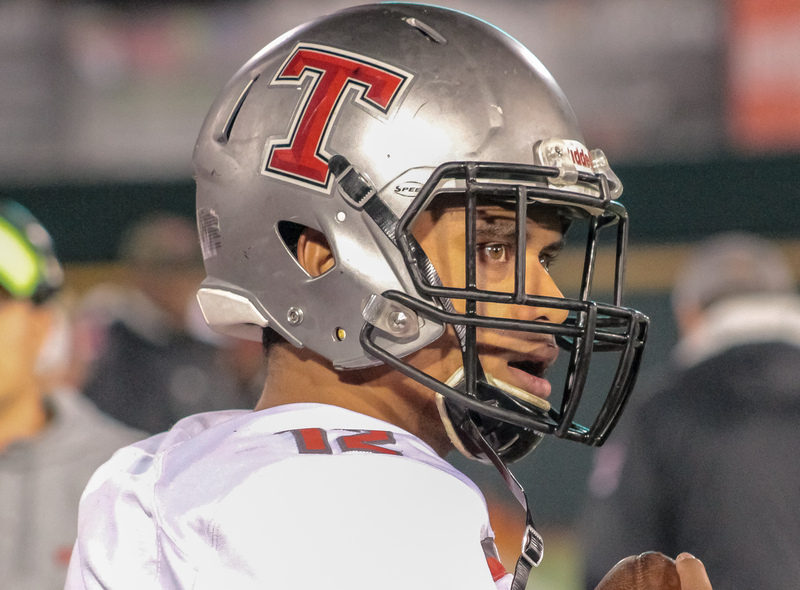 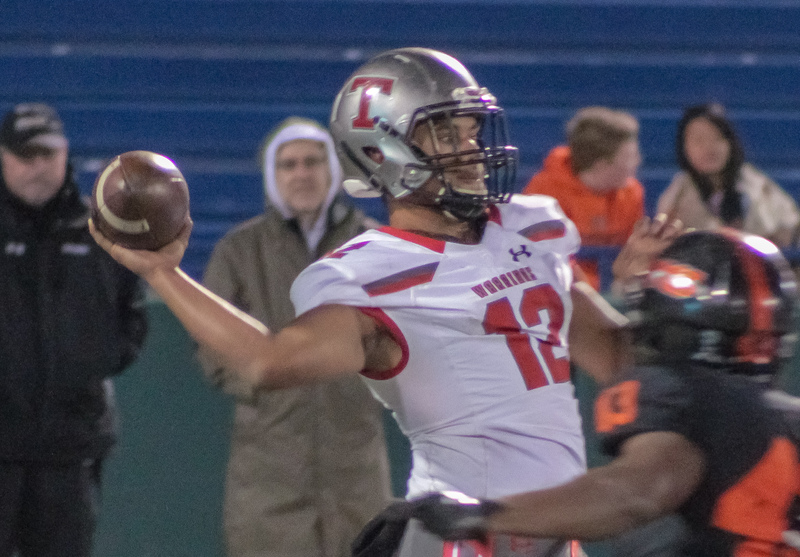 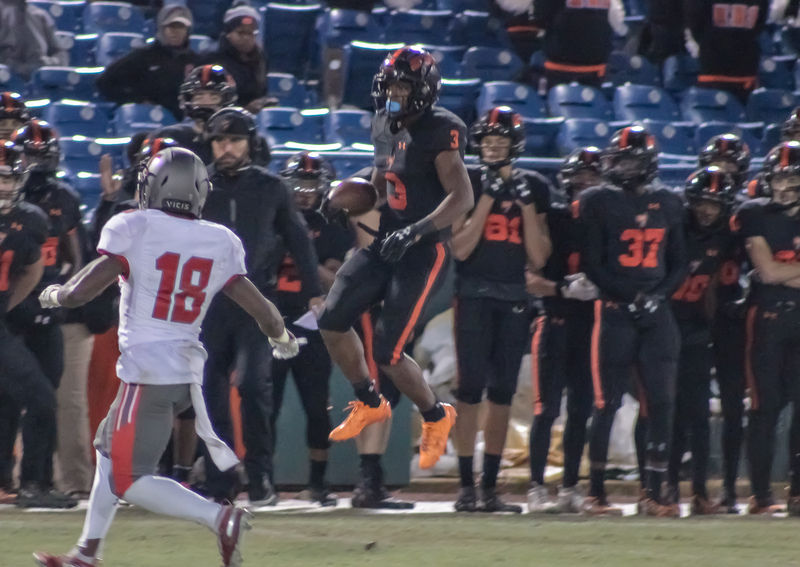 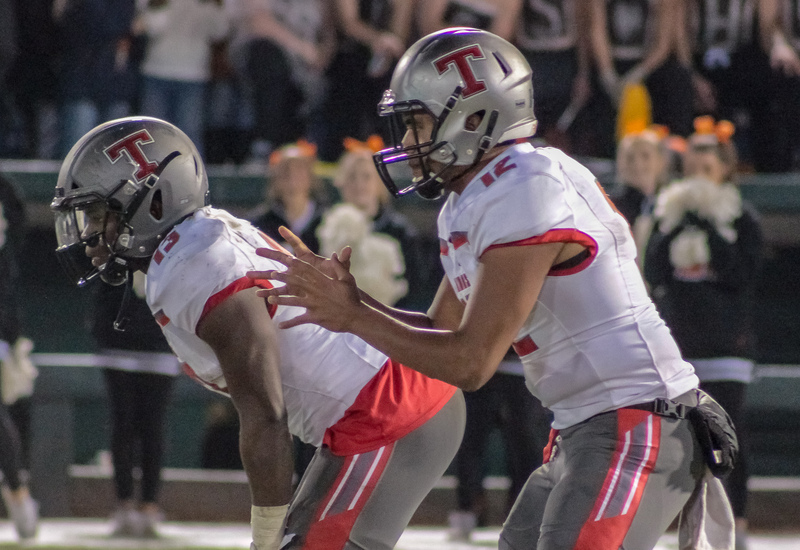 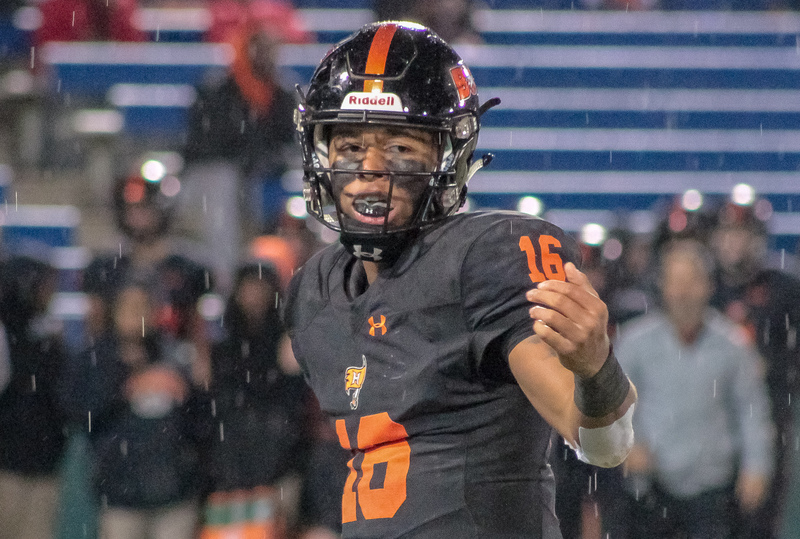 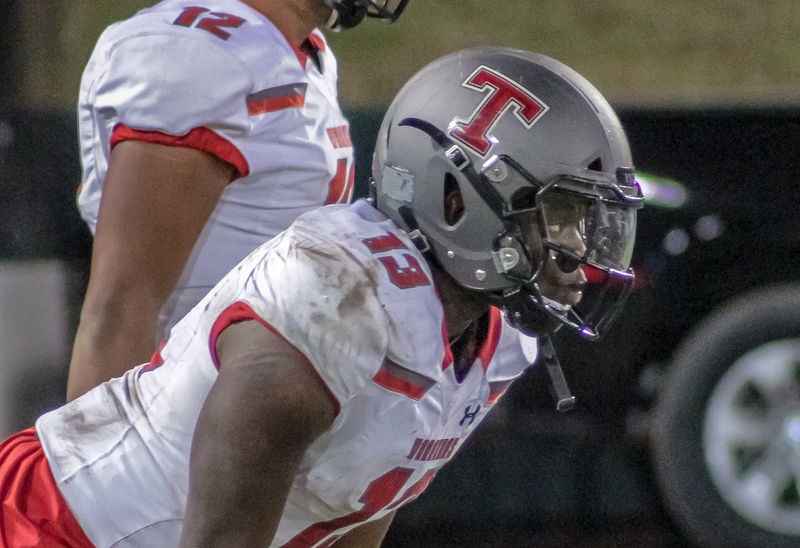 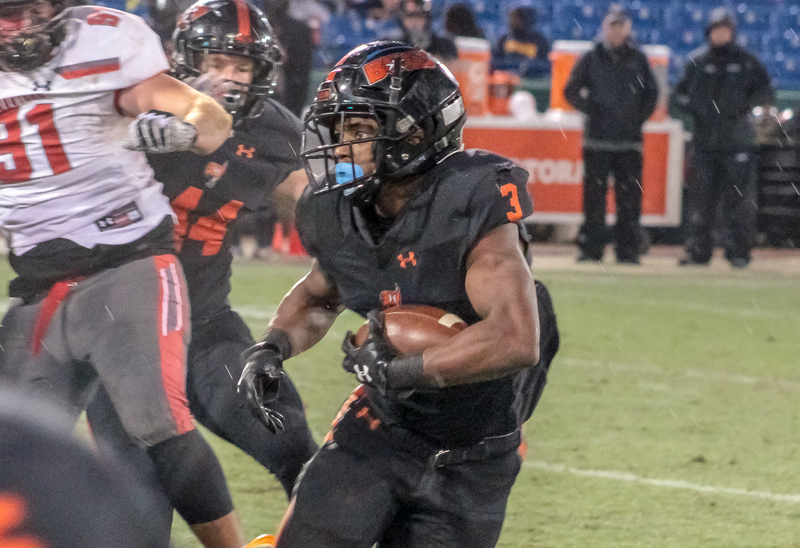 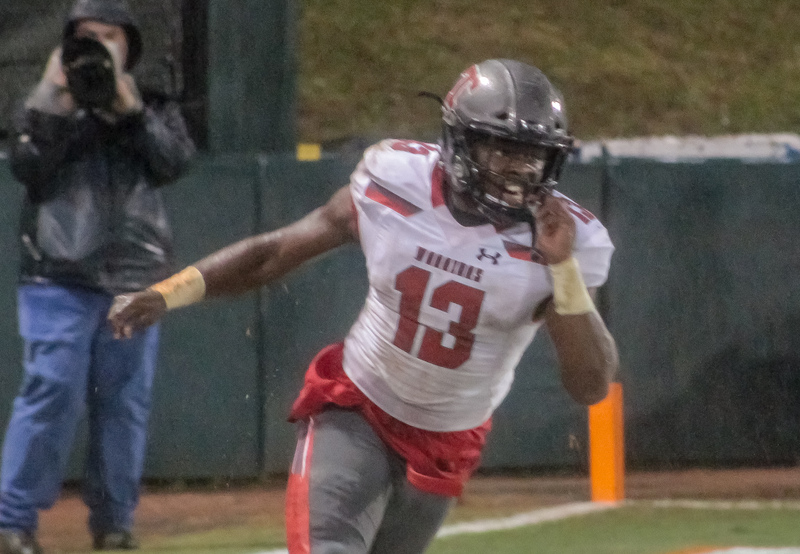 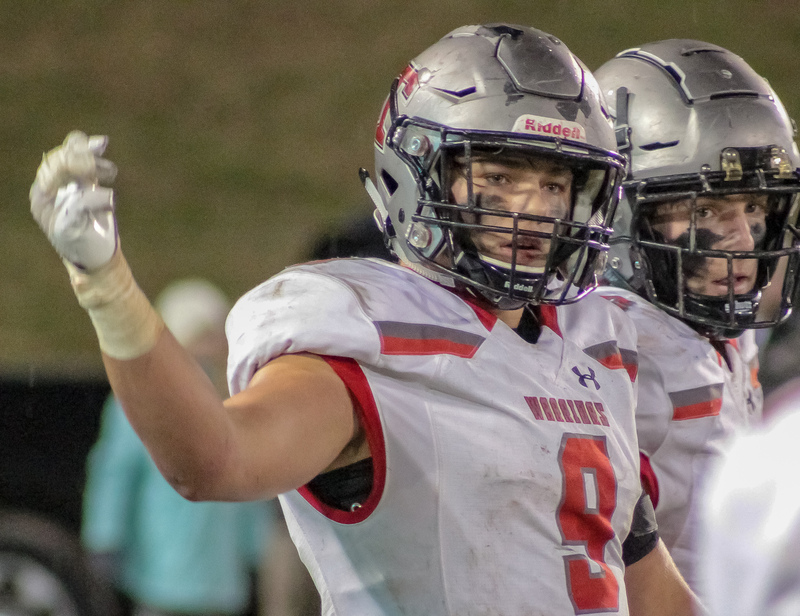 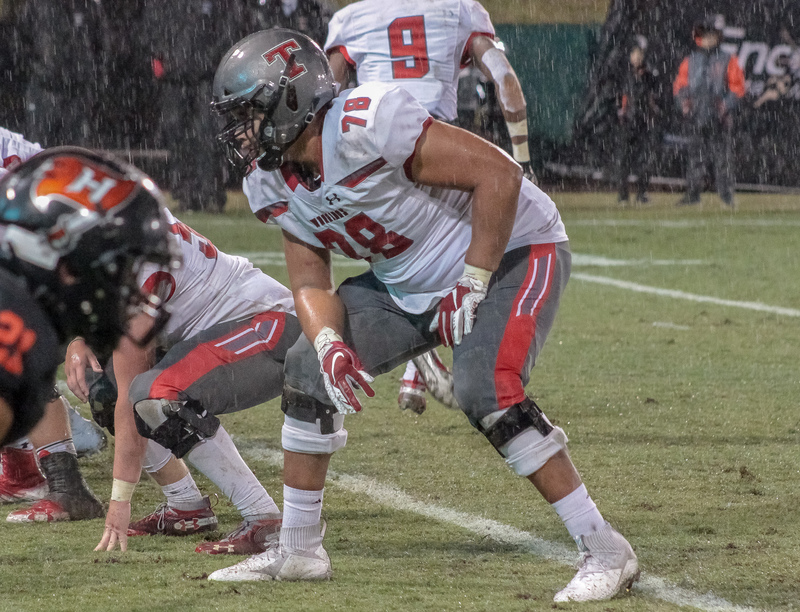 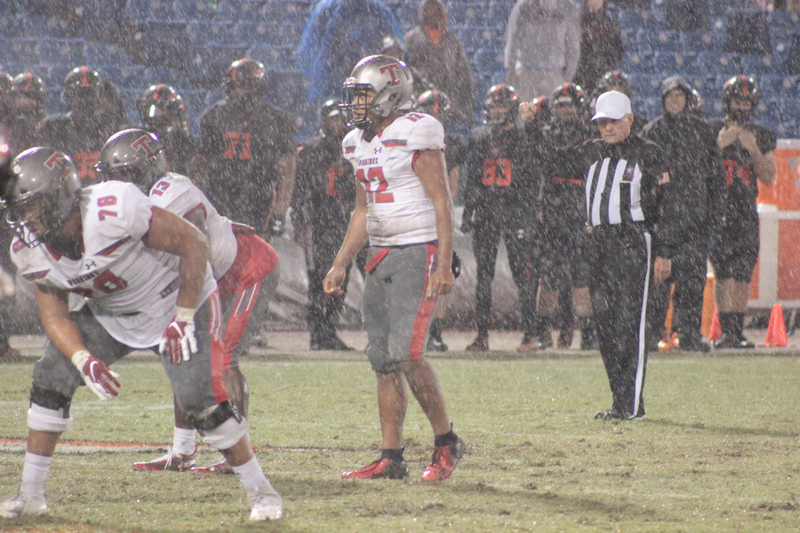 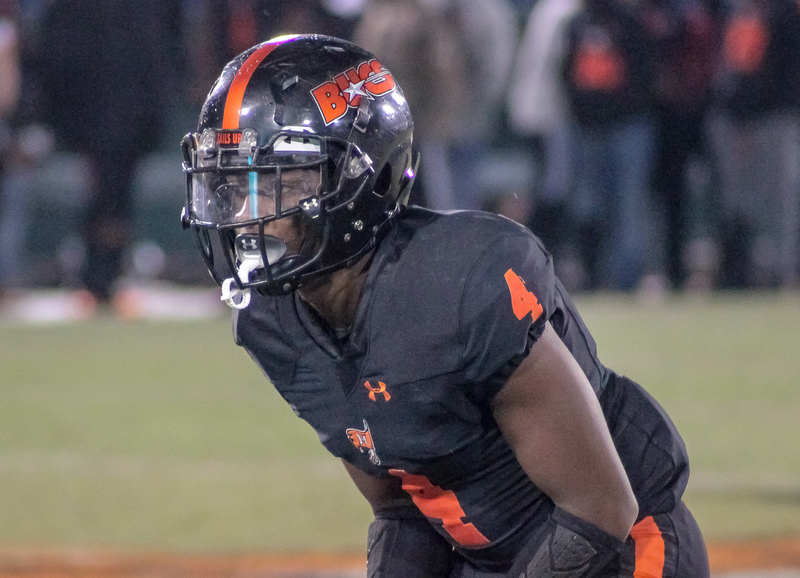 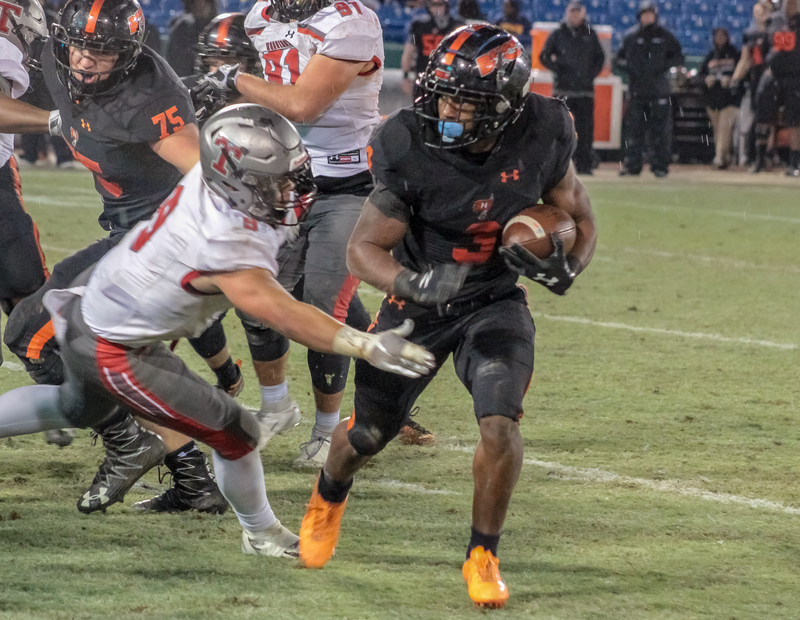 Hoover, AL – The Thompson Warriors punched their ticket to their second AHSAA state title game in program history Friday night with a 31-28, come from behind win over the Hoover Bucs at a soggy Hoover Metropolitan Stadium. 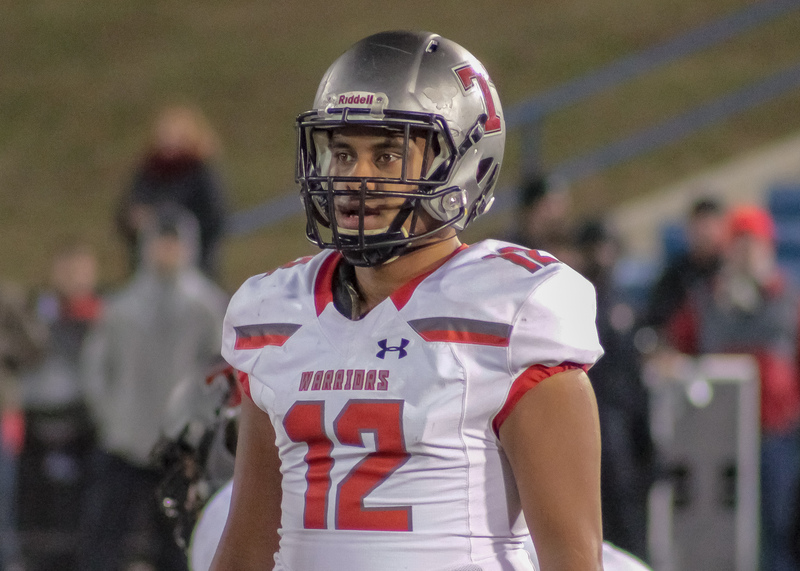 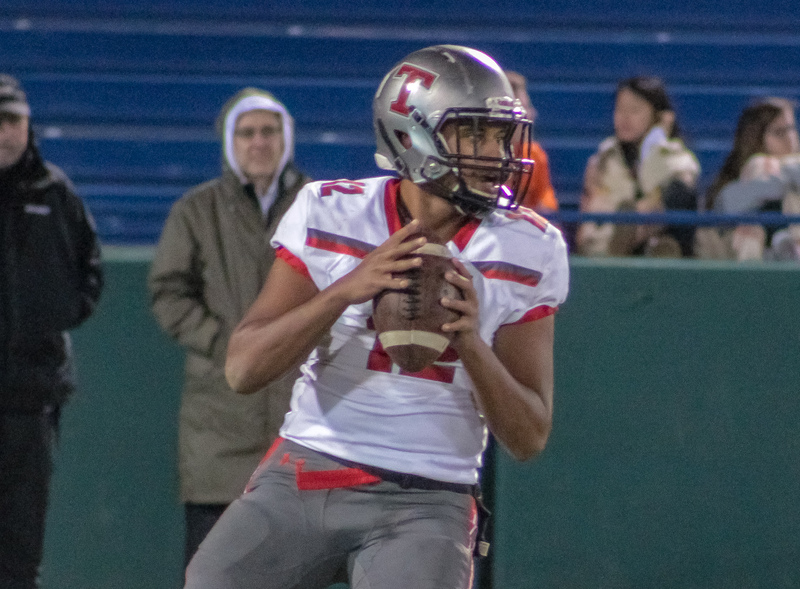 Alabama commit Taulia Tagovailoa lead the second ranked Warriors on an 87 yard drive in the final minutes of the contest to lift the visitors over the defending state champs for only the second time in the 24 year history of the series between the south-of-town rivals. 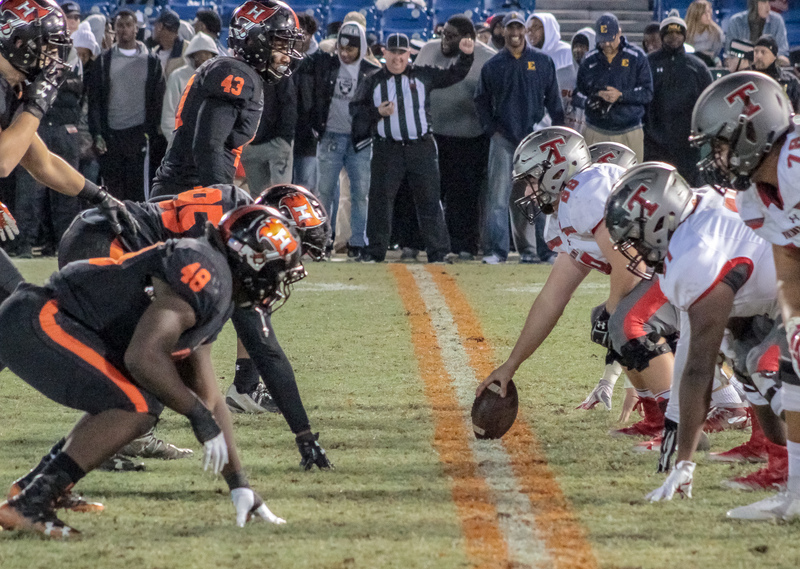 The loss marks the first time since 2007 that the powerhouse Bucs have fallen short of 10 wins in a season and only the second time that a Josh Niblett coached Hoover squad has failed to reach the AHSAA title game. 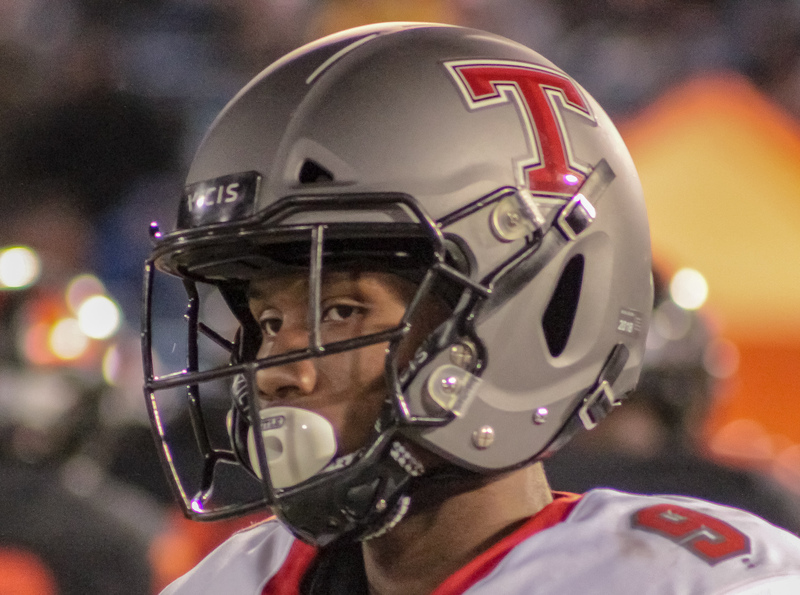 Thompson running back Shadrick Byrd put the Warriors on the board first, scoring the first of his three scores two and a half minutes into the opening quarter. 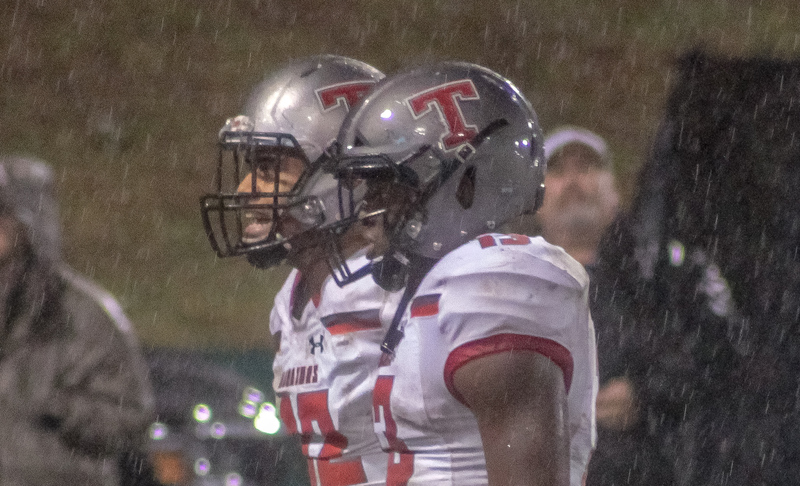 The senior added his second touchdown of the night early in the second period, bolting into the endzone from just inside the Hoover 15 yard line and extending the Thompson lead to 14-0 with 10:45 to play before the break. 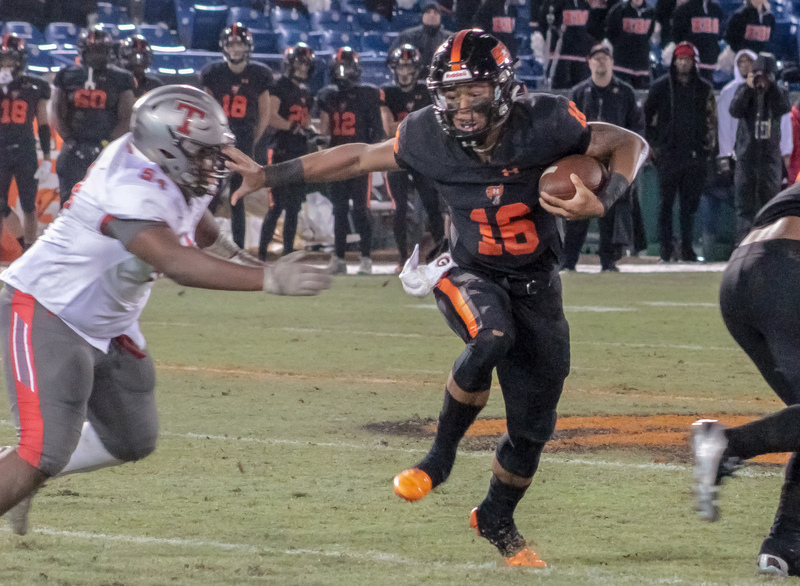 The Bucs cracked the scoreboard two minutes later as quarterback Robby Ashford called his own number, scampering in from ten yards out pulling Hoover within a touchdown. 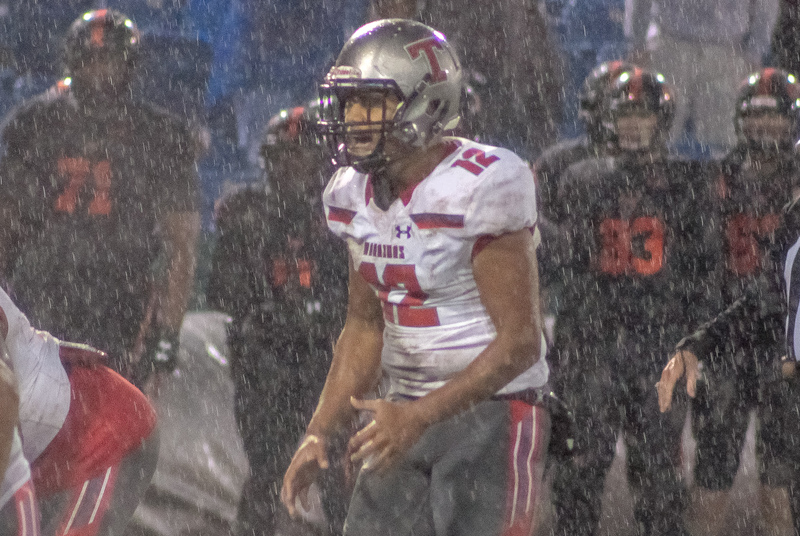 Thompson’s Evan McGuire split the uprights from 25 yards out to extend the Warrior lead to 17-7 on Thompson’s next drive. 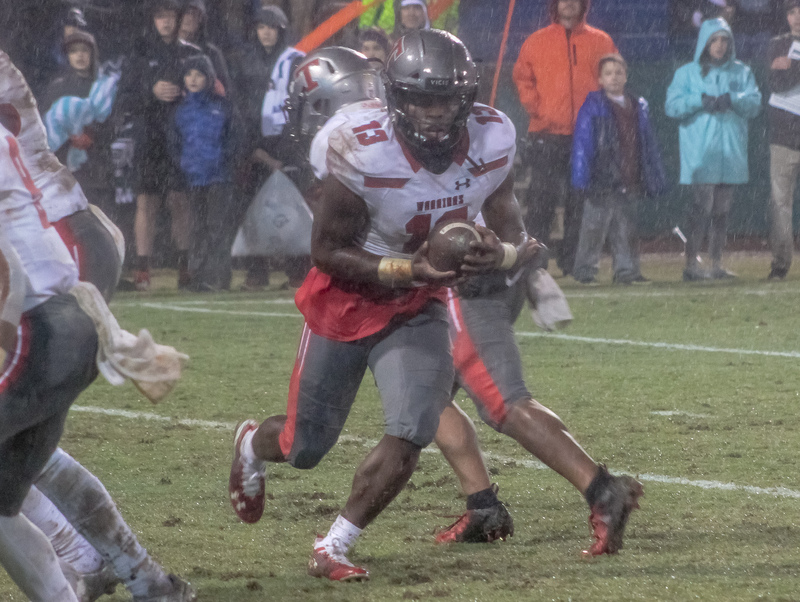 Ashford added his second rushing score of the night with just over a minute to play in the first half capping the opening two quarters at 17-14 in favor of the Warriors. 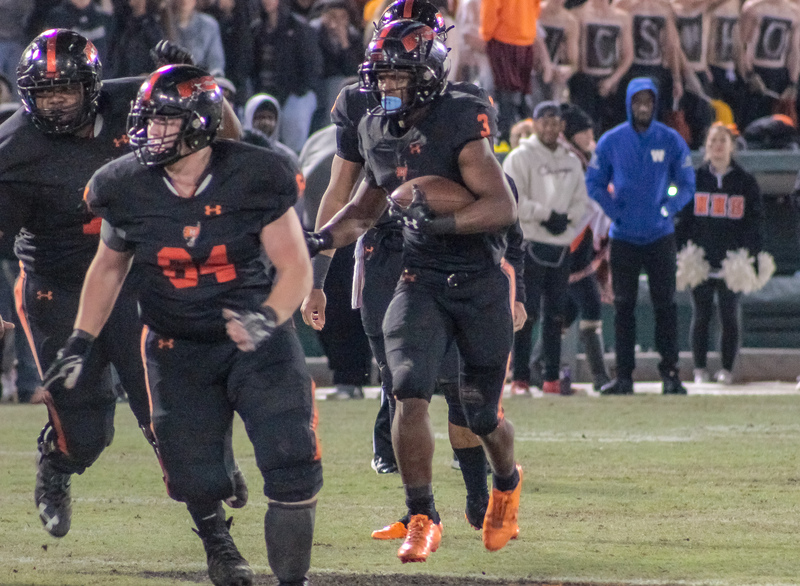 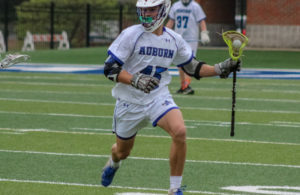 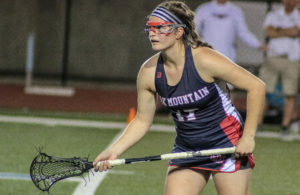 The defending champion Bucs stormed back coming out of the locker room as Jaeden Sankey recovered a blocked put and Larry McCammon hauled in a Robby Ashford pass from just inside the Warrior 20 giving the Bucs an 11 point advantage hedging into the final 12:oo of the contest. 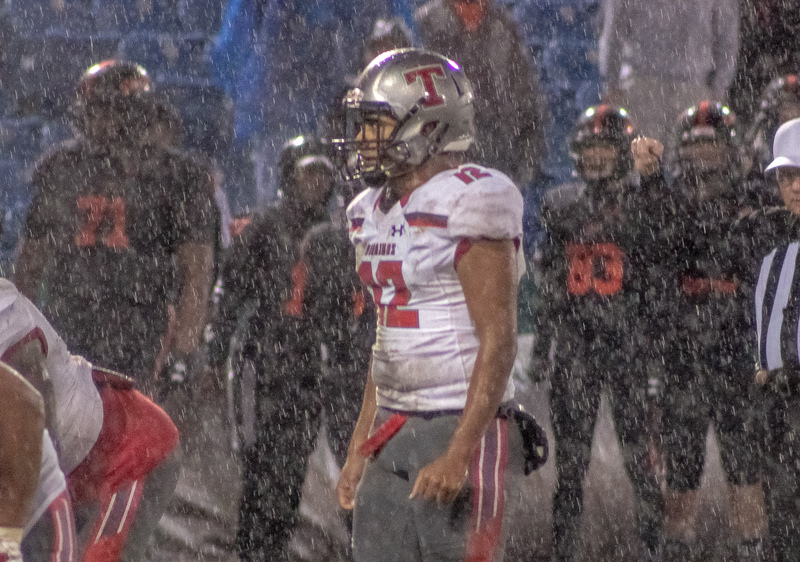 Thompson’s A.J. 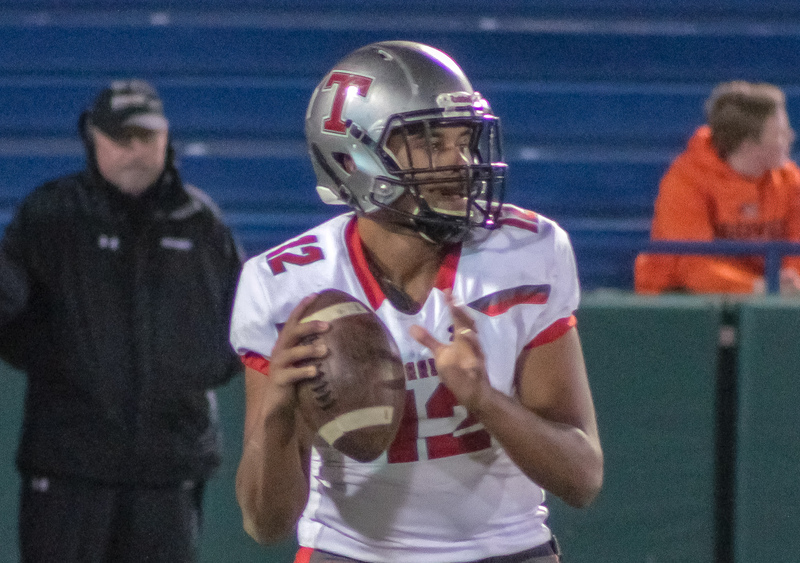 Bonham snagged a Tagovailoa pass, on fourth down, bolting 55 yards across the goal line and pulling the Warriors within a score. 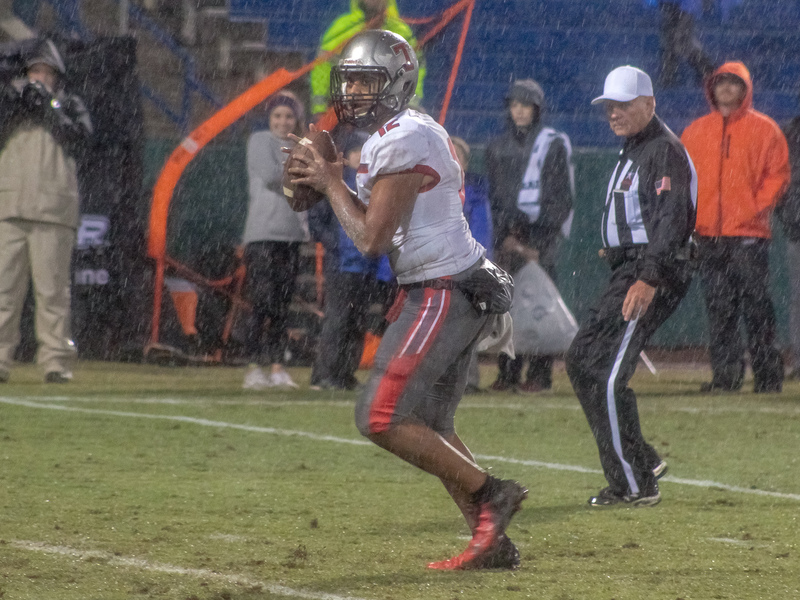 After the Bucs failed to convert late, Tagovailoa engineered a remarkable drive, in a pouring rain, that was paid off with Byrd’s third touchdown of the night. 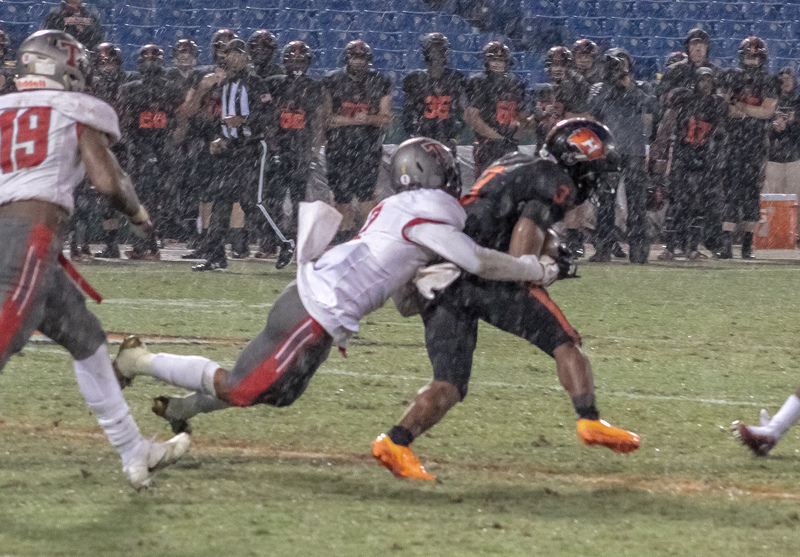 This one from three. 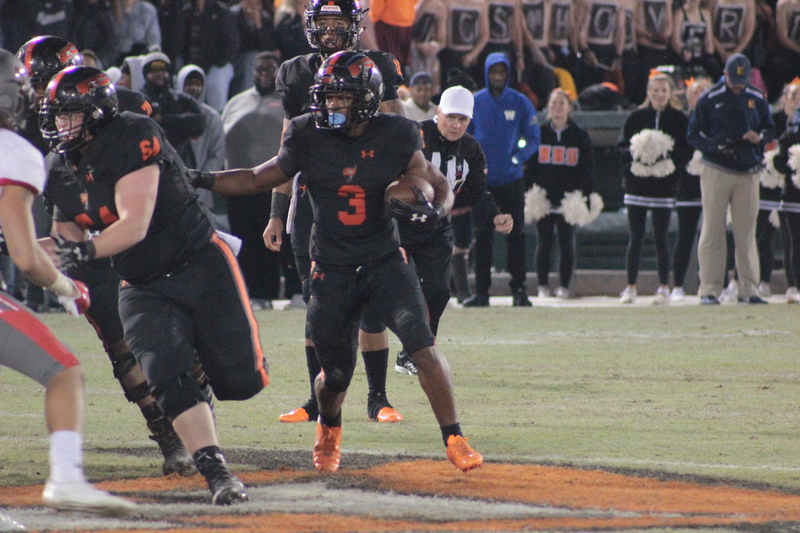 yards out and for the win with 21 ticks remaining on the Hoover Met scoreboard. 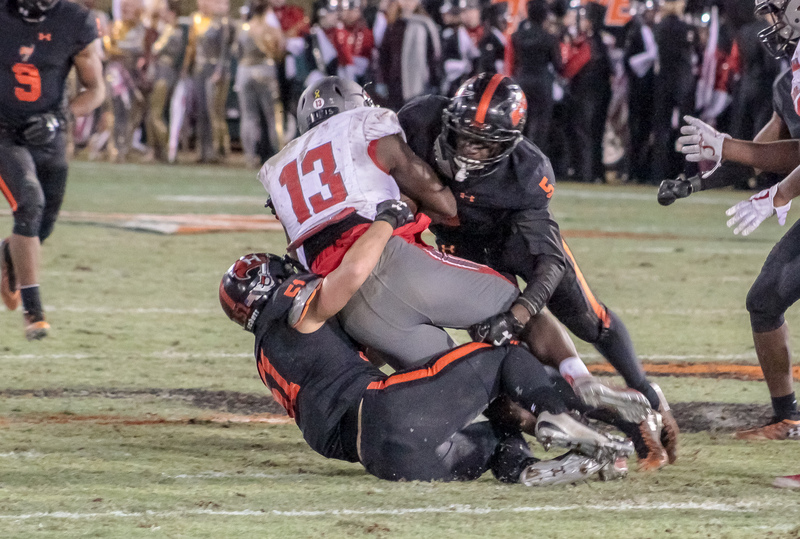 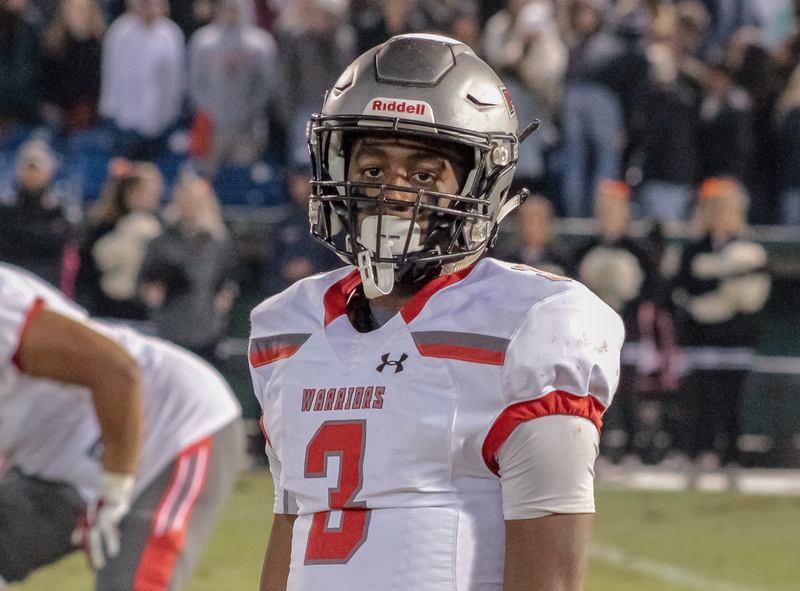 The 7A region 3 champion Bucs dropped to 9-4 on the season while Mark Freeman’s Thompson Warriors march on to Jordan-Hare Stadium to face the undefeated and top ranked Central-Phenix City Red Devils. 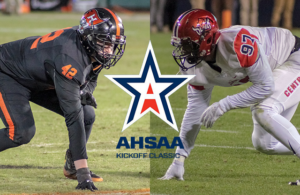 The Warriors and Red Devils will kickoff the AHSAA 7A state title game Wednesday December 3rd at 7:00 pm at Auburn’s Jordan-Hare Stadium.